These partners offer educational events and resources for woodland owners. See also our events calendar. The mission of the Aldo Leopold Foundation is to inspire a caring, ethical relationship between people and land through the legacy of Aldo Leopold, one of the 20th century’s greatest conservation thinkers. As part of this work, the foundation offers and co-sponsors classes and workshops for landowners on various land care practices, such as prescribed burning and oak management. My Lake Superior Northwoods offers free assistance and technical advice to landowners in Northwest Wisconsin who want to care for their woods, wildlife, fields, and waters. Services include free site visits by one of the organization’s experienced natural resource professionals; e-newsletters and fact sheets; and quick, personalized answers to landowners’ questions and concerns about their land. The organization also offers assistance to those interested in funding programs such as the Natural Resources Conservation Service’s Environmental Quality Incentives Program, U.S. Fish & Wildlife’s Partners for Fish and Wildlife Program, county funding programs, and Wisconsin’s Managed Forest Law. The Southwest Badger RC&D Council works to conserve, develop, and utilize local natural resources to achieve sustainable economic development in rural communities throughout Crawford, Grant, Green, Iowa, LaCrosse, Lafayette, Richland, Sauk, and Vernon counties. The council’s staff includes a stewardship forester who offers workshops and habitat tours for landowners and other audiences on sound forest management techniques. The council is also involved in a variety of other projects to help woodland owners, livestock farmers, and other private landowners in the region. 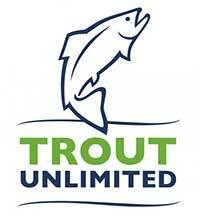 Trout Unlimited protects and restores North America’s coldwater fisheries and their watersheds through advocacy work, science-based approaches to habitat conservation, and outreach to anglers and private landowners. Trout Unlimited offers a guide for landowners of streamside habitats, My Healthy Stream. In Wisconsin’s Driftless region, the Driftless Area Restoration Effort (TUDARE) works with private landowners who donate or sell public fishing easements, to restore streamside habitats at no cost to the owners. TUDARE also educates landowners through a variety of events, workshops, tours, and publications. The USDA Forest Service, Northeastern Area, State and Private Forestry collaborates with private landowners and other partners to protect, conserve, and manage forests, community trees, and related resources. The agency offers a number of “how to” guides and other publications for landowners on its website, along with resources and information about forest stewardship, forest health, best management practices for protecting water quality, and other subjects. The agency also works with woodland owners to protect environmentally important forests from conversion to non-forest uses, mainly through use of conservation easements. The University of Wisconsin Cooperative Extension is a source of news and expertise about forest management, forest insect and disease pests, wildlife, and many other topics of interest to landowners. Visit your local UW Extension office, or view the UW Extension’s forest management publications online. The University of Wisconsin-Madison Department of Forest and Wildlife Ecology conducts research and offers extension and outreach that benefit landowners and others across the state. Forestry and wildlife extension specialists provide programs on wildlife management, wood products, and forest management. Educational materials are available on the department’s web site. The Wisconsin Bird Conservation Initiative is a partnership of more than 150 organizations around the state whose goal is to conserve and restore endangered, threatened, and rare bird species and their habitats; educate citizens about birds and bird conservation issues; and promote the enjoyment of birds. Through conferences and other events, the organization educates private landowners and land managers on management tools, restoration strategies, and options for improving bird habitat that are specific to their land type.